Aspendos ancient city, known for its rich history, is one of Turkey’s most important cultural assets. This ancient city, founded by Akalar in the 10th century BC, is located in Belkis Village of the Serik district of Antalya. 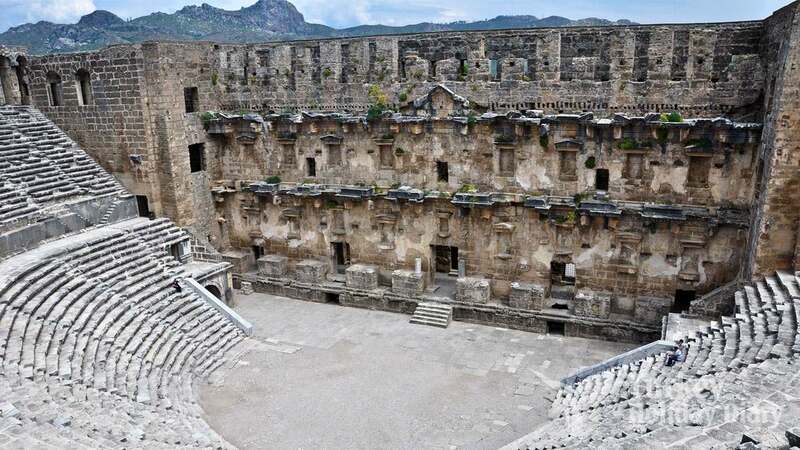 Aspendos Ancient City, which is always in a very important position due to its location on the trade route, also consists of agora, theater, stadium, hamam, cisterns, shops. The most famous structure of the ancient city where most of these structures can be reached as daylight is the ancient theater of 12 thousand people. Built in the 2nd century AD by Roman Zenon, this ancient theater is one of the earliest examples of the daily reaching scenes. Aspendos Ancient City, which is visited by many tourists both locals and foreigners every year, is also home to events such as theater and concerts. Aspendos, one of the first cities to repress coins in its name in Anatolia, is a wonderful region founded by the Argive colonic tribes who came to Pamphylia after the Trojan War according to Greek myth. Aspendos, which has an important position thanks to Köprüçay (Ancient Eurymedon) and trade routes it is on, has been occupied by many civilizations many times throughout history. For a while, the city, under the rule of Alexander the Great, lived its most brilliant period in the Roman period. In the Roman period, a huge theater and waterways were built in the ancient city. 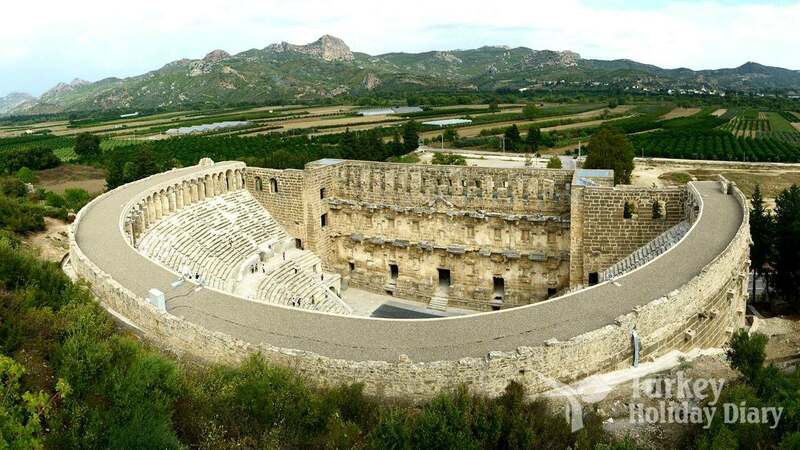 The Aspendos Theater, known as one of the best preserved antique theaters in the world, is a huge field built on the slope of a small hill in the region. This structure, which was built devoted to the devine gods and emperor, was designed by Zenon, the son of Theodoros. This magnificent theater, attracting attention with its awesome acoustics, has a capacity of 15-20 thousand people. The agora, basilica, monumental fountain, parliament building, monumental castle, street and Hellenistic temple around Aspendos theater are just some of the important structures to be seen in the ancient city. During the Byzantine Period, Aspendos Ancient City continued its presence and was used as a caravanserai in the Seljuk period. This ancient city, which was visited by Atatürk in 1930, was restored upon request of Atatürk and opened to the public again. Located in the region between Antalya and Alanya, Aspendos is located beside the Köprüçay River, which was born in the Taurus Mountains and poured into the Mediterranean. 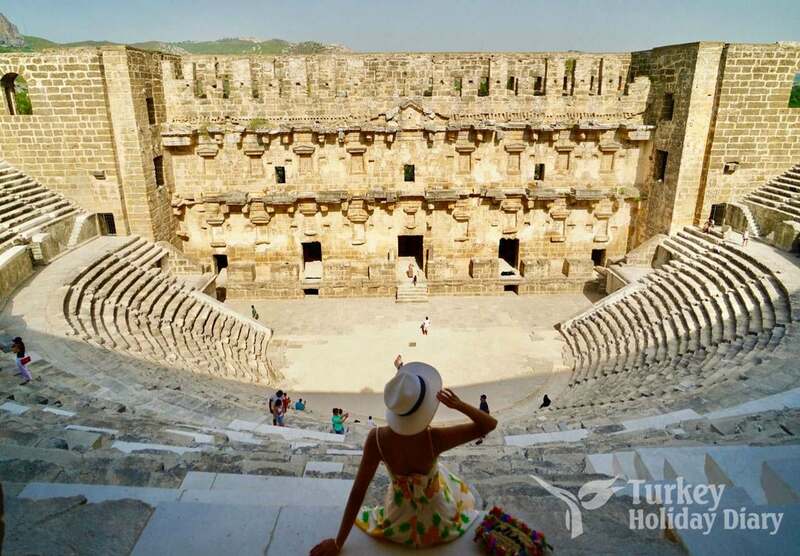 To discover Antalya’s cultural riches, come to Aspendos Ancient City, which has a history of about 2000 years! Discover an amazing experience in this wonderful region!